Just had some cool Wossner oversize Pistons arrive, available in several sizes, this one is a 100mm...Big Slugs!! We can supply Hot Cams, Wossner Pistons, APE Valves etc for your DRZ400! Full range of 38mm HV Lectrons for all 2 stroke MX and Enduro Models in stock in UK! We are pleased to announce we are now stockists of the Iconic IKON range of shock absorbers! Now Stocking Kibblewhite Stainless valves.Std and Oversize. Oil cooled GSXR1100. GSXR1000 and Hayabusa USA Made Output Shafts in stock! A must for any Dragbike! 14/12/2018Carrillo H Beam Rods in stock! We have increased our stock holding of Carrillo Rods for popular applications to ensure super fast delivery! Avoid delays! We are now stocking Yoshimura camshafts for the GSX1300R Hayabusa. Gen 1 and 2 Models. Now in stock! 2019 range of Team Classic Clothing, ideal for XMAS ! We now stock Robinson Sprocket Support Kits GSX1300R, GSXR1000. call for details . GSXR1000 MTC Baskets in stock! next day delivery! Now in stock, 4140 Billet Shift Forks for the Hayabusa. Heat Treated and micro polished. These spring back into shape unlike abused OEM forks. Back in stock again. Wiseco hi Comp Piston Kit K1172. 10.25:1 GPZ1100A1 Z1100R 18mm Pin. Just in, genuine Yoshimura Magnesium Works Style cam End Covers now back in stock! See the listings in Yoshimura Parts! Just arrived! The answer to these little bikes carb issues! Now stock Yoshimura Race Camshafts and Race spring Kits for the GSXR1100 and GSF1200. Ideal Road race/endurance Motors. Now stocking GSXR1000 K1-8 Billet Clutch Baskets. We need your std basket in exchange. Now from stock, 84mm GSX1300R Gen 1 busa High Comp Big Bore Kits on the shelf. Just px your Good core 81mm cylinder. Samco Sport coolant hose kits are now available! 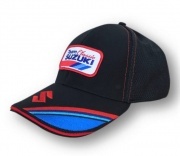 As used by many top Superbike, Moto GP, Motocross and Enduro motorcycle race teams. Samco Sport offers a great range of race-tested, direct-replacement silicone hose kits offering many benefits over factory fitted hoses. We are now agents for Rapid Bike Fuel Injection Control Systems. 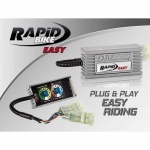 Rapid Bike EASY add-on electronic module is equipped with a microprocessor directly managing the lambda sensor signal to optimize the air/fuel ratio, improve the engine efficiency and eliminate torque and power gaps. Available for most Bikes! Call 07900 362809 for info! We are pleased to announce that we are now stocking LSL parts for your Triumph Twin! Mirrors, Bars, Fender kits, Footpegs, Filler caps, Engine Emblems etc etc. See the growing list in the Triumph Section. We will be at the forthcoming Excel Show! Genuine Yoshimura GSXR1100 86-88, GSXR750 85-87 Heavy Duty cast engine covers now in stock! see yoshimura section! 23/01/2018Gazi Sport X Shocks for Triumph Twins! The latest spec Gazi Hyper X shocks for the 2016 onward Triumph Twins have just arrived! Adjustable Rebound and Compression damping, ride height and preload.Made in Australia! The full range of Hyper Pro Steering Dampers and Fitting kits are now available Call 07900 362809 for details. Just arrived, 2 stage MTC Lock up clutch kits for the gsxry-k3 models. idela to harness the extra power if turbo or nitrous boosted. 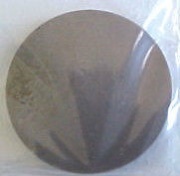 The only core needed is your stock pressure plate so the hardened steel buttons can be installed. 06/12/2017Genuine GS1000 Lift Handle in stock! Just arrived, genuine GS1000 lift handle, 41610-34200 £39.88 inc vat. Just finished a batch of SPS angled billet ignition covers for the GS1000 and GS750. these UK made Billet covers are unique to Suzuki Performance. They are extremely strong and offer greater crash protection than the flimsy cast OEM cover. After a while out of stock we have new pumps on the shelf for the 2v GS1000. We are now stocking stainless 4-1 full systems for the GS1000,GS850, GSX750 and GSX1100 models,and Z900/1000/1100 with a classic style Straight silencer. £299.95 inc vat. Just arrived, APE standard size stainless race valves for the GSXR1000 K5-8 models, that are fitted with expensive ti valves as standard. Just arrived, the ultimate 530 pitch Drag Race Chain. As used by the top Pro Street racers in the USA. We also stock RK 530DR chain, EK 530 DRZ2 chain and Regina 530DR chain in 150 and 160 link lengths. 26/07/2017Yoshimura Exhaust Systems and Slip Ons! 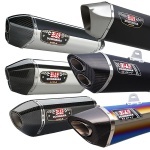 Check out our ever increasing range of the awesome Yoshimura Exhausts for all modern Sportsbikes! 07900 362809 for any info needed on models not listed! 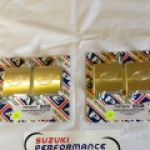 Just arrived new SPS Billet Oil Filter Covers for the GSX1100. 2 types, with and without an oil cooler. Supplied with new bolts and an o ring. 29/06/2017Suzuki Genuine Clutch Plate Kits ! We are now stocking the range of Suzuki Genuine Clutch Plate Kits. These kits are complete with a full set of genuine friction and steel plates, clutch springs and a new clutch cover gasket. The represent unrivalled value and quality. Just finished, a batch of Suzuki Performance Billet aluminium low profile sump plates for the chain drive GS1000. These are far more rigid than the oem cast sumps as well as being a lower profile to give more clearance. Now back in stock , GSXR1300 Hayabusa MTC Billet aluminium quick access clutch covers,black anodised. They allow clearance for MTC lock up and Gen 2 clutches and allow access to the clutch pack for servicing. They are supplied with mounting bolts,sight glass for the oil level and a Cometic clutch Gasket. Just got these beautiful Carbon R77 Yoshimura Slip On's in stock. Dont forget we can supply the full range of Yoshimura products. message me for details! To convert the GSXR1300 to conventional type induction and ignition, the FBG billet ignition housing and trigger unit, allows the use of Dynatek ignition. 10/03/2017Carrillo H Beam Rods in stock! In stock for Gen 1 and 2 Busa's, ZX14/ZZR1400 and GSF1200,GSXR1100's All other models available! Be ready for the sunny Summer ahead!! look in race clothing ! Now in stock and listed! Grab a great deal on FMF Fatty Front Pipes and Powercore silencers for your MX Enduro! Genuine GS1000/750 Fuel Taps in stock. See them in the New Cycle parts section. We now stock Genuine New front chrome guards for the GS1000/850/750/550 models. see them listed under genuine cycle parts. Thanks for looking! 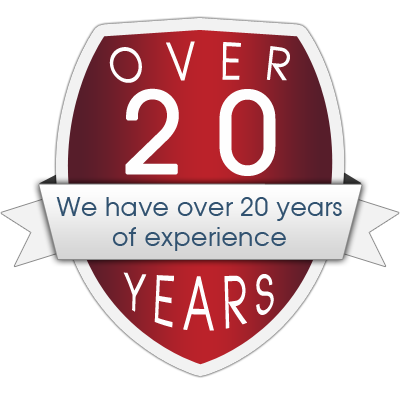 We carry a vast range of Chains and Sprockets for all applications. Road, Drag Race, Bike engined 4 wheelers ,dirt bikes. Call for info. 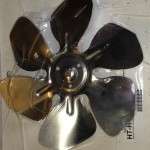 We are now stocking hayabusa parts from Kibblewhite, KPMI. see the listings under Hayabusa Zone. More will be added in the next few weeks. 01/12/2016Power Commander V's In stock! Good selection of Dynojet's awesome PC V nor in stock! check out the selection and prices...also all the relevent accessories to enhance the syatems functions are available. Just in, Wossner 85mm 1340cc Piston kits for the GSF1200 GSXR1100 , we stock sleeves and Big Blocks for the GSXR1100 as well. 09/11/2016Lectron High Velocity Carbs in stock! KTM and Husky owners in europe with 2017 models...help is at hand! 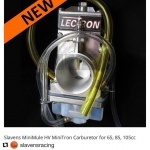 We now have stock of the recently developed Slaven's Mule 38mm High Velocity carb kits for immediate despatch. 07900 362809 or buy online form our shop! Call us for any head work you are considering this winter! Race or road use. These 2 heads are on their way to our customers. 1 is for a classic GSXR1100 racebike, to run in the Manx next summer, the other is for a trick lightweight track day slabside. Both heads are the same spec. Oversize stainless valves, fully gasflowed, all valve seats are cut on the very latest Serdi Equipment. 03/11/2016Motion Pro Rev 2 Throttle Kits ! In stock for most modern Sportbikes, the new Motion Pro Rev 2 Variable rate Throttle kits allow you to tailor your throttle rate to riding conditions and rider preference! 02/11/2016Mikuni RS Flatslide Smoothbore carbs! Now available from stock, 4 degree ignition advancers for the slabside gsxr1100/750 models. 15/09/2016Web Camshafts GSXR1300 GSXR1000 in stock! We are now stocking new billet performance camshafts for the GSXR1000 and GSXR1300 hayabusa, normally asirated and Turbo cams. call for details and see the cams listed in the site! 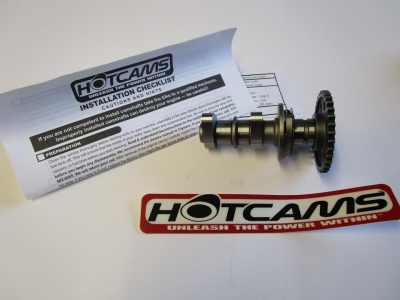 All sportbike cams for all makes are now available direct form us...we are pleased to announce we are Web camshafts new Motorcycle camshaft distributor for the UK! Now in stock GSX1100EFE GS1150 YSS rear shock absorbers. Excellent quality. Billet ally bodies, powder coated progressive main spring, fully adjustable rebound damping. Not to be confused with cheaper offerings! Just a reminder to call for availabilty on MT Bike slicks this is a 26 x 10 x 15 pro stock item. Just a reminder, we stock literally 1000's of screens for all faired bikes, ancient and modern! we can supply them in clear, light tint, dark tint and colours to order. call for info! 07900 362809 cheers! 25/05/2016Katana genuine spares in stock! we are now stocking the silver fairing lowers for the gsx1100sz, and the headstock bracket and the main fairing brace as well for the gsx1100sz. find them under new genuine cycle parts. We are now stock a range of APE Pro Series Camchain tensioners. these are the 'next generation ' of tensioners, ideal for racers who are frequently adjust and resetting camchain tension. We are now stocking replica fairings for the gsxr1100 86-88, gsxr750 85 and the gsxr750 86-87 slabside models. they are all made in the uk and supplied in white gloss gel coat finish. for overseas shipping please contact me for a quote, due to the bulk of the product we cannot always use regular shippers. 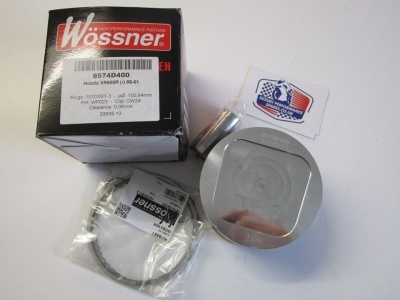 We are now stocking a selection of Wossner forged piston kits for the italian Ducati marque! these are 900ss/monster 900 92mm hi comp ones. Now available, full stainless 4-1 Yoshimura systems for the slabside gsxr1100 and 750 . available with stainless,carbon or titanium silencers. We now stock a selection Of the excellent Keihin FCR Race carbs. These are available for GSXR1100/750, oil and watercooled models. Yamaha FZR's Honda CBR's and kawasaki ZXR and ZZR models. 35/37/39/41mm call for details! Brock's USA made Drag Race Exhaust Systems are simply the best solution for a lowered drag race Hayabusa , GSXR1000, ZX14 etc call for details! Our own specificatiion GS1000 1085 kit. redesigned , 15% lighter, tool steel wrist pins, true 10.5:1 cr. the best kit available. in stock now for your road or race GS1000. staight rebore of the standard barrells. We have just finished a new batch of SPS oem replica fairing brackets , for the original gs1000s wes cooley nose fairing. UK made in stainless, they are supplied unpainted. they match our replica gs1000s fairing and screens. Just in, the latest MTC Gen 2 Multi stage lock up clutch. also available for the gsx1100, ZX14 ,call for details. These are engine driven as opposed to being rear wheel driven like the conventional MTC lock ups clutches. We are now stocking a full range of heavy duty camchains for most sports bikes. Prox Racing camchains are made in japan by world leading transmission specialists, Borg Warner. These chains are the same as the APE items we have been using in our own race motors for years. save ££££, dont accept any less performance!! 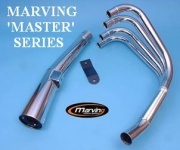 We are now supplying the fantastic range of Marving Exhaust systems. 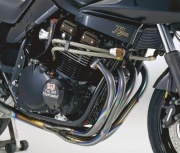 The classic styled Race and Master ranges of 4-1 systems are of special interest to riders of the aircooled models, such as the zed range, cb honda's and gs, gsx suzuki's. As part of our push to offer a comprehensive parts service for the kawasaki z900/1000 engine range, we now stock the range of APE Liska tensioner and idler gears for the zed 900/1000 , as well as the usual manual camchain tensioners and hd camchains for these bikes! 16/09/2015GS1000 66mm Crankshafts for sale! 27/08/2015Motobatt Hi Power batteries in stock!! Motobatt advanced gel mat technology batteries deliver 20% more cranking power than the same size convention lead acid batteries. They are totally sealed and are spillage and vibration proof! vailable all bike and models. call 07900 362809 if your bike is not listed here! 19/08/2015Hayabusa and GSXR bearing sets! Dont forget we stock genuine main bearings and big end bearings for your GSXR1300, GSXR1100 GSXR1000 GSXR750. call 07900 362809 your only call!! 01/08/2015GSX1100 EFE Chassis for sale! Nicely modded gsx1100efe rolling chassis just available. gsxr1100l backend and gsxr1100k front end. with uk v5. less tank and panels £750. 20/07/2015GSX1100 EX ET for spares! 17/07/2015GSX1100 1230cc big bore kit. good used 1230 wiseco kit just taken off a gsx1100efe we have stripped. call 07900 362809 or buy from the store! We now stock the APE uprated oil pump gears, ideal for tuned and turbo motors! We have just added the gsxr750 l/m model to the range of earl's oil coolers we stock. this model have the banjo type sump fittings. Just had a batch of 77mm 1230 10.5:1 pistons made with 18mm pin bores instead of the usual GSX1100 efe 20mm size. ideal for an early 18mm pin crank motor running an efe cylinder ,straight rebore...job done!! Quick Access Billet clutch covers from MTC Engineering in Florida, now in stock. they come with bolts and new genuine oil level sight glass. we now stock the heavy duty output shafts and sprockets for the hayabusa. a must on tuned and turbo gsxr1300 hayabusa\'s. 03/03/2015redesigned and cheaper cooler kits for the gs1000! check out our new SPS/Earl's oil cooler kits for the gs1000/gsx1100 etc. actually down in price as well!! Billet SPS clutch cover spacer for the gs1000 to allow the use of the MTC 2 stage and multi stage lock up clutch on the gs1000. 29/01/2015GSX1100 Earls Oil Cooler Kits. New style kits just in! They take off from the fron tof the engine, neat and effective! £220 inc vat! just got a basket in, fitted with new falicon springs and rivets, only 400 miles ago. £120 delivered. Back in stock Keihin CR's GS1000, GSX1100, Z900/1000. Simply the best round slide,classic eligible carb! Good flowed head just in for agsxr1100 oil cooled. standard valve size. will work great with a 1216 kit! £395! We now can offer from stock, APE HD valve springs for the ZX12R ,also suitable for ZX12R based Watercraft. We are now stocking the excellent market leading Trac King performance clutches. Made in the USA by APE, California, these complete friction and steel sets out perform any other clutch plate combo. 06/10/2014MTC Hayabusa Superstreet Turbo Pistons! Now available the awesome 6.83 second MTC turbo Pistons! Just got this slightly scruffy GSXR1100K in to break..all parts available..call 07900 362809 cheers! 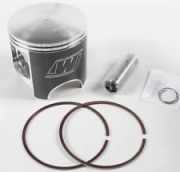 Now in stock 75mm 10.5:1 cr MTC 1170cc piston kit for the gsx1100 ex/et/katana atc. GSX1100,GS1000,Z900/1000 40mm powerjet race Carbs, complete with Billet Power Rings for maximum air flow! These are the ultimate carbs for drag race use. call for details. 28/09/2014MPS Sportbike Air Shifter kits. Now on the shelf, MPS electric over air shifter kits for sportbikes,with individual stick coils. busa's, gsxr1000/750, zx14/12/10/9/6R's, cbr1000/600rr .etc. We are now stocking the full Range of the World leading Shorai lithium batteries. Available for all models, they are a full 70% lighter than the oem fitting,and delivery unrivalled cranking power! 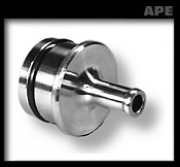 APE stainless inlet and exhaust valves, now available, in standard and oversize! great price...great product! Just arrived, APE low friction hd camchain tensioner blades for the gsx1100 air cooled engine.Made from a space age material with a very low coefficient of friction, these blades, dramatically cut down on the wear found with the oem blades. 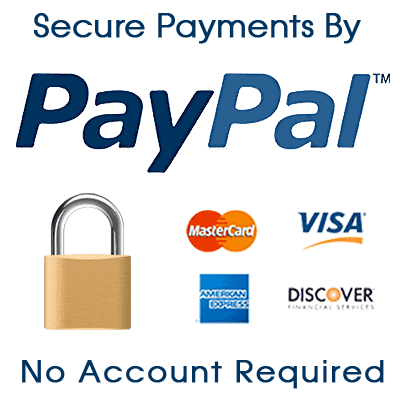 New improved replacement starter motors for all hayabusa\'s now available.! Just arrived with a stock order from NX, these great bottle blankets for the 2.5lb bottles. Now stocking MSD plug wires and caps, MSD 2.8 ohm coils, suzuki pickups, MC4 ignition systems. call for details. Just arrived! We have commissioned MTC in the USA to produce an exclusive to us ,forged big bore piston kit for the gs1000. 73mm, they bore into the standard cylinders. The kit gives 10.50:1 cr. The kit is complete with a cometic head gasket,pistons, rings,gudgeon pin and teflon buttons instead of the usual circlips. We are now stocking APE roller camchain conversion kits for the gsxr1300 hayabusa. these come with adjustable cam sprocekts, adaptors and heavy duty camchain to convert the hayabusa from the hyvo type camchain to the superior,stronger roller type chain. 05/08/2014Cobra Stainless Full Exhaust Systems! 31/07/2014GSX1100 Chrome 4-2 full exhaust system! 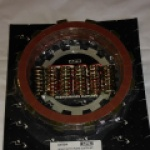 23/07/2014MTC Multi Stage Clutch GSX1100 in stock! We are now stocking USA made MAC classic 4 into 2 and 4 into 1 exhaust systems. Call for details. regina Gold 530 pitch 150 link drag race heavy duty chains now in stock..ideal for use up to prostock and superstreet use. 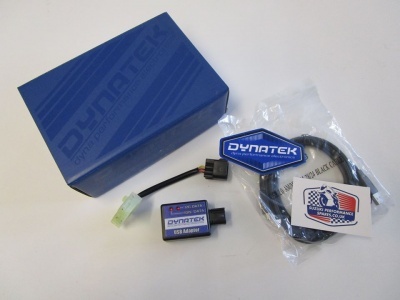 We are now stocking the dynatek programmer for the dyna 2000 ignition system. 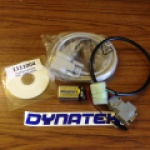 it allows you to make custome ignition curves on your dyna 2000 ignition module. 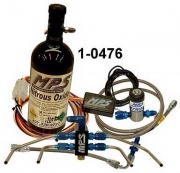 We now stock MPS Hayabusa nitrous kits. They are also available for ZX12/ZX14/GSXR1000/ZX10 etc. call for details! Cheap bolt on tunable hp at the press of a button! 18/04/2014GSXR1100 Big Blocks in stock! Just arrived from MTC....2 stage GSXR1000 lock up clutches, with a spacer plate and buttoned pressure plate. 10/03/2014Suzuki GSX750EX wiseco Big Bore Kits. Wiseco 816cc big bore piston kits in stock for the gsx750 ex et model.70mm bore. straight rebore of the standard cylinder block. 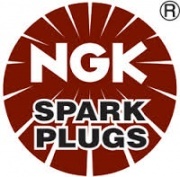 06/03/2014NGK Spark Plugs in stock! Try us for all your plug needs! These Great APE Trac King Extra Plate heavy duty clutch kits,work great in all sohc honda cb750's. ideal for road or race bikes, they are a full set of frictions,with 1 more than standard for greater frictional area, and the corresponding extra steel plate needed, plus a set of APE heavy duty clutch springs. reduced in price to £89.99 inc vat. Brushed stainless 4-2-1 VHR drag race pro sidewinder for non turbo GSXR1300's. £945 inc vat. Just in from APE, these billet pair/reed valve covers add a touch of class to your late gsxr1300 hayabusa. 08 to 2014 models. also in stock for gsxr1000 models. back in stock, APE nitrous fogger nozzle plates,for the oil cooled GSXr1100's, makes fitting the fogger nozzles a breeze! 07/02/2014MTC Kawasaki Z900 Z1000 Lockups. Now stocking kawasaki z900/1000 2 stage MTC lock up clutches. they come complete with special cast cover and modified pressure plate ,fitted with hardened steel buttons to prevent wear. in stock for immediate despatch...a new batch of std ratio, usa made straight cut primary gears for the early gsx1100 and gs1000. these are compatible with the stock clutch basket. Now stocking the great performance radiator fans from muzzys in the usa! Now stocking APE Stainless race valves...call for details. replica GS1000R cast front sprocket covers now in stock, fits directly on gs1000 chain drive engines....the finishing touch to your project gs1000! 18/01/2014Hayabusa stainless valves in stock! 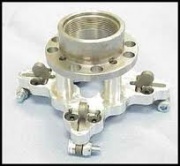 USA made stainless race quality valves in stock. Standard or 1mm oversize, inlet and exhaust. Cheaper than OEM stock valves!! Now re available APE Valve Cover Bolts. Trick lightweight aluminium, available in standard 7mm of oversize 8mm , if threads are damaged as is common. Complete with neat reusable o ring seals to replace the standard sealing washers. Back in stock..busa cometic race quality clutch cover gaskets. 12/01/2014Pingel Electric Over Air Shifter kits in stock! We can supply Pingel air shifter kits for all bikes! Just arrived the electric over air junior kits for sports bikes! We now stock the diaphragm type lock up clutches for the gsf1200 bandit and the gsxr1100 k/l/m/n. 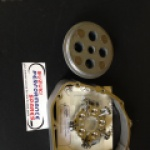 No need to convert to the old style 4 spring gsxr1100 slabby clutch to control high hp motors. 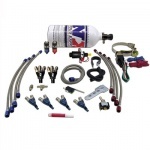 We are pleased to be able to offer a full range of Nitrous Express kits and spares and accessories. please call for details. 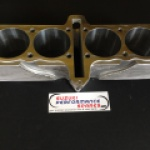 Nitrous Express are the premium supplier of nitrous power in the USA!! Ideal for your wes cooley rep or classic race bike! these were once fitted to our gs1000 prostock bike. now replaced with spoke wheels as it had originally. back in stock. vance and hines SS2R full exhaust systems. oval silencer, nickel plated downpipes and link pipes. Great power and looks! Just in!! nice ready to use 78mm cosworth street [10.25:1 cr] block professionally fitted with oversize liners and bored to suit cossie pistons. we stock a range of APE billet starter motor block off bungs, for race bike with the oem starter removed. They come in 30mm and 40mm to fit most japanese applications. the 30mm is available plain or with a take off for a breather pipe. they are also fitted with a sealing o ring. 25/11/2013GSX1100 cylinder head oiling kits. New batch of top end oil feed kits for the gsx1100 just in. we have redesigned these to allow the retention of the oil pressure switch,unlike the usual 'ward' APE type which is just a flat plate with nowhere to install the pressure switch.they come complete with earls fittings and dash 4 autoflex hose.07900 362809 a must when using hd springs and high lift camshafts. 22/11/2013GSX1100 EZ just in for spares! now stocking falicon straight cuts for the gsx1100/gs1000. just stripping this nice clean gsx1100 ex motor for spares...call 07900 362809 if you need parts! get the right installed spring pressure by installing ape spring shims under your hd ape valve springs! these are suitable for all suzuki gsx1100/750 and gsxr1100/750 modesl. also fj1100/1200 yams. Ideal to give a boost to your otherwise standard fuel injected sports bike! the NX dry kits can be fitted without further mods! 21/09/2013GSX1100 Billet Ignition Covers. YOSHI style! Just finished a batch of billet ignition covers for the gsx1100. fits all years/models 80 to 88. ex/et/ez/esd/efe/katana etc. ultra tough, finished with the yoshi logo, idela for your race bike or tricked up street ride! 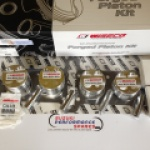 Just arrived Wiseco ck101 piston kits. they are a more sensible 11:1 comp ratio, the r1216 is 12:1 and can cause detonation.the kits are complete with rings/clips/forged pistons, pins and a wiseco mls big bore head gasket. they are a straight rebore of the standard block. we have just started stocking the oil cooled and watercooled gsxr1100 trac king clutchs. made by APE performance in the usa, they are the baddest plates out there for extreme road or race use. try them! you will never got back to oem or other aftermarket types again! Just arrived are these superb ape sandcast clutch covers. they feature a removable centre piece to enable clutch maintenence without disturbing the gasket as on the original cover..an optional forward facing clutch cable system is also available ,to enable the cable to be routed forward instead of under the 'busy' area beneath the carbs. Dyna Shift Light Systems are in stock for most applications....modern sports bikes, older classic racers etc. fully adjustable, see listings for pricing or call 07900 362809. We are pleased to be able to offer an increased range of the USA's APE race parts extensive range of performance products from stock. call 07900 362809 with any enquiries! 25/06/2013Suzuki RF900 Breaking for spares this week. early gs850 shaftie for spares this week. 05/06/2013Wes Cooley Replica Starter package??? GSX1100efe,little tatty but good motor etc. all parts are available.call us on 07900 362809. 07/05/2013GSX1100 EFE just in for spares! Good 85 gsx1100efe just in..great motor...all being split as we speak! call 07900 362809 if you dont see what you need.